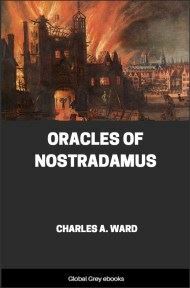 Published in the early days of World War II, this is partially a biography of Nostradamus, partially a historical novelization of incidents in his life, and an attempt to associate his predictions with historical and future events. McCann is at his best in the former parts of the book. 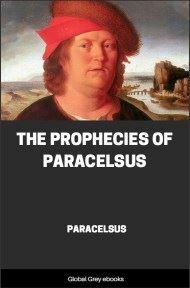 He immerses us in the life and times of Nostradamus. Although many of the episodes are fictionalized, they make pleasant reading and appear to be historically accurate. The attempts to match Notradamus' predictions with historical events of the rennaissance are for the most part very well reasoned. 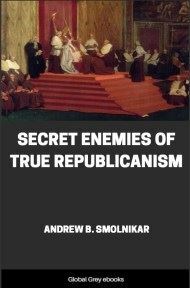 The book concludes with a rather long section bearing on events of the twentieth century. IT WAS NEARLY CHRISTMAS, of the year 1503. San Rémy, ancient Provençal town, namesake of the Saint who baptized Clovis on Christmas Day, was astir with preparations for the coming activities. Everywhere in town and countryside people stopped in the sunshine to greet and talk of plans for Calèndo, the Romance word which Provençals still use for Christmas. Great ladies in silken finery, blithe young knights attended by their squires riding down from châteaux in the hills, peasant women in full skirts and bright-colored bodices, jolly monks, dark-eyed girls and sober town fathers, all were preparing for the year's greatest celebration. In the town square men talked about yule-logs. Some who owned groves were going to cut down an olive or an almond tree that was too old to be worth keeping. But more would go to the forest to cut their logs, and drag them home behind uncoupled oxen as men had done since the days of the Druids. San Rémy housewives crowded the market-stalls, buying almonds and honey to make Christmas nougat. They chatted of New Year's gifts in the making, and gossiped about holiday masques at the Governor's palace at Aix. Troubadours tuned their harps and memorized romaunts. Through church windows drifted the voices of choir-boys practicing Christmas music, chanting their welcome to the Son of Man, singing of peace on earth which then as now seldom prevailed. The ancient town, gay with the season, little imagined, least of all the expectant parents, that this child, born in their midst that day, would bring to his birthplace a fame enduring for centuries. Who then could foresee that a future Europe would search his words for an answer to the grim riddle of its fate? Over the Midi town the stars had taken stance to endow this infant with stranger wisdom than prophet had held since the faraway years of those who foretold the coming of the Christ. On this the 14th day of December by the Julian calendar, "near to the twelve hours of noon," so the chronicle runs, the son of Jacques and Renée de Nostradame was born. The voice of the bronze bell speaking the hour from the town belfry was carried on breezes fragrant of meadows. In the hearts of the parents the bell-notes chimed the olden gratitude: "Unto us a child is born, unto us a son is given." How long the family of baby Michel de Nostradame had been settled in Provence is not known. But long enough for them to be assimilated into the annals of the country, to have made their contribution of science and service, and to reap the rewards of prestige. The statement that Michel was of Jewish birth has been insistently asserted by most commentators. There seems to be no warrant for this outside of unverified rumors after his lifetime. His race is not important except in relation to his prophecies. But it is of essential interest to know whether he was the last inheritor of the grand Hebrew tradition of prophecy. Or, has the Gentile race, lacking such tradition, really produced one prophet of distinction in whom they can take pride, and whose forecasts are concerned with their destiny? One who, if not comparable to the sublime poetry and exaltation of the prophets of Israel, can be compared with them in the accuracy and authority of his vision. Nostradamus, in his letter of dedication to King Henry II, speaks of the Biblical computation of years. He says: "I hold that the Scripture takes them to be solar." To a scholar this should be proof enough that Nostradamus did not have Jewish background; if he had, he could not have escaped knowing that the Jewish calculations were always according to the lunar calendar. "His grandfathers, maternal and paternal, had a reputation as great savants in mathematics and medicine, one being physician to René, King of Jerusalem and Sicily, and Count of Provence, the other, of Jean, Duke of Calabria, son of King René. This closes the mouth of the envious who, because they are misinformed, have reflected upon his birth." The sixteenth century was a period of bitter anti-Semitism and general intolerance. Jews, it is true, were not persecuted in Provence, and many of them rose to wealth and secure standing there. Had Nostradamus been a Jew, his reputation might not have suffered from it in the place of his birth. But it would have suffered as his fame spread to larger fields, particularly Paris. During his lifetime his enemies called him charlatan and sorcerer. Had he been vulnerable to the accusation, he would certainly have been branded as a Jew by attackers overlooking no point that could be raised against him. Doctor Theophilus Garencières, one of the early commentators, who states that all his life he had been in contact with people who either knew all about Nostradamus or thought they did, likewise makes no mention of Jewish descent. His concern was how God could reveal himself to a man of merely average social position. 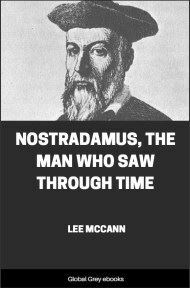 He says that this wonder agitated the minds of many people who admired Nostradamus as a prophet. This was not because the caste-conscious Renaissance had forgotten the birth of the Son of the Carpenter, but because they had reconciled His origin with their own social standards. Ferne's Blazen of Gentry, a sixteenth-century work on heraldry, is at pains to inform its readers that the twelve apostles were all gentlemen of blood, reduced to servile work only through misfortune.